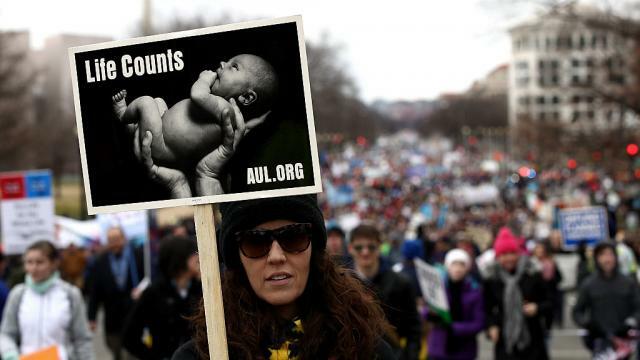 I will be marching this Friday along with hundreds of thousands of pro-life Americans at the annual March for Life in Washington D.C., to demand that our laws acknowledge and respect the obvious humanity of unborn children and protect their lives. That is my small way of making a political contribution. But like many, if not most, of the marchers, I back up my passion for the life of the unborn with practical, compassionate help for them and their parents. I’m a private practice radiologist and I have just spent hours reading a large stack of prenatal ultrasounds. I’ll only be paid for about half of this work. The other half is work I regularly donate to our local Pregnancy Resource Center. This center and the many thousands like it across the country are places that provide, free of charge, compassionate alternatives to abortion for women facing an unplanned pregnancy. I am motivated by my faith to do this work, and because it would be wrong to let my commitment stop at politics and ideology.